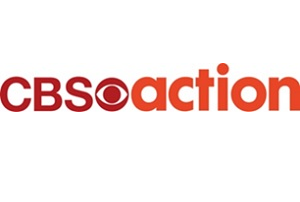 CBS Action has confirmed an October launch on Freeview, one of a new batch of channels joining the UK's digital terrestrial TV service this autumn. Viewers who retune Freeview as part of wider changes to the Freeview service this afternoon will be ready to receive the new channel when it launches and is promoted up the channel list on 1st October 2014. The channel is already available free-to-air on satellite and is also carried on Virgin Media. A placeholder for the new channel is on Freeview channel 90, but it is moving to channel 70 next month. The service will have around 90% population coverage. It will also be available in most YouView homes where the platform piggybacks on Freeview's terrestrial service; currently CBS Action is only distributed on TalkTalk's YouView service. CBS Action is the home of NCIS, Star Trek: The Next Generation and CSI and is operated by CBS Studios International and AMC Networks International (AMCNI). Tanya Guggenheim, Chief Business Development Officer for AMCNI Zone said: "We are excited that CBS Action is now going to be available to Freeview homes. CBS Action showcases the best in action dramas and sci-fi, so a really great fit with the Freeview audience." Sister channel CBS Reality launched on Freeview in April making CBS Drama the only CBS branded channel in the UK currently not on Freeview.